If youre thinking of becoming a Virtual Assistant, our VA Essentials course will help give you a rounded overview of what is involved in running your own business as a Virtual Assistant. Youll look at the complete picture of the role of a VA. Youll look further into the career and lifestyle of a VA, necessary attributes for the role, business plans, equipment and software, legal requirements, risk management, data protection, finance and marketing, the delivery of the VA service and much more. The course is accessed online so you can study at a time and place convenient to you. 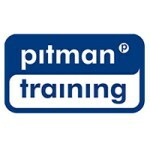 Youll have the support of our Course Advisors if you need it, and once youve completed the course, youll gain a Pitman Training Certificate to validate the knowledge gained.